I once talked with a man and a woman across the street from an abortion clinic. I asked, “May I talk to you about alternatives to the clinic?” The woman (almost in tears) looked back at the man, then looked at me. 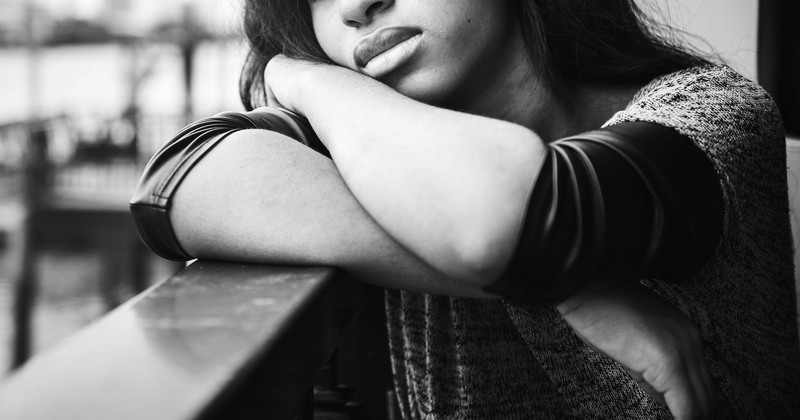 Her face expressed how deeply she regretted the decision to come to the clinic, but she quietly acknowledged that she couldn’t see an alternative and proceeded to walk across the street into the abortion clinic. That left the man standing alone on the curb, putting coins in the parking meter. I repeated myself and said: “May I talk to you about alternatives to the clinic?” The man, in a straightforward way, continued to feed the parking meter and said he already knew what I was going to say, and that I was right. He already knew what abortion was. He already knew what abortion does. He was currently experiencing the emotionally destructive aftermath of abortion on the heart. That’s when the weight of the reality of men haunted by abortion regret hit me. That’s when my heart broke. Regret can be a negative reaction to a personal decision resulting in blaming one’s self for a bad outcome. Regret can linger where opportunity existed, leading to a sense of loss or sorrow of what might have been or wishing one could undo a previously made choice. In some cases, the self-recrimination that can come with regret leads to a type of refocusing on and/or an adaptation to our current reality. In other cases, the pain of regret can turn into rumination, resulting from the differences in the present and painful reality of chosen vs. unchosen actions. While it’s been noted that the less opportunity one has to change the situation, the more intense the feeling of regret can be, many have experienced the strength to move forward from the healing of the heart. #LifeLongRegretIsReal is a video series, born out of this experience and dedicated to the reality of abortion regret. Acknowledging the reality of regret has the power to reveal the possibility of reconciliation. If that means an apology, paying forward a good act, taking different steps in a similar present situation, or even moving on and/or letting go of a past that only exists in our minds, a healthier and brighter future is ahead of us. The videos in this series are meant to be used within a safe counseling context with the intent of aiding an open, honest, and intimate discussion on the subject of abortion regret. The goal of the video series is to help reclaim the lives of those who regret their abortion decision. As a Christian, I know Jesus Christ will meet all of our needs. Because Jesus Christ met all of mine. I know all of us can be completely healed and made whole through the love, mercy, and grace of Jesus Christ! Understanding that healing from abortion regret doesn’t mean the damage never existed, but that the damage no longer controls our lives, the Issues4Life Foundation has partnered with the Everlasting Light Ministries team led by Brian and Denise Walker, and the No Longer Bound team led by Marc and Tegra Little, to reach deeper into black America with the hope of healing abortion regret. The Everlasting Light Ministries team and the No Longer Bound team are the two leading abortion recovery ministries in the community of color. Both ministries provide a safe place for spiritual healing and deliverance through our Lord and Savior Jesus Christ to women and men who have been emotionally wounded by abortion. Lori and I thank God for the high calling of these ministries. Walter B. Hoye II is both president and founder of the Issues4life Foundation and the California Civil Rights Foundation. God used the premature birth (six months, 2.1 pounds) of his son to teach him that the fetus is a person—a living, breathing human being. In 2008, Walter and his wife, Lori, were the recipients of the 4th Annual Walk for Life West Coast’s St. Gianna Molla Award for “courage under fire” in the pro-life movement. He serves as an incredible leader for the cause of the preborn despite the personal costs and has even been unjustly jailed for his peaceful defense of the preborn on a sidewalk outside an abortion clinic. His “Letter from the Santa Rita Jail” and California Human Rights Amendment appeal for personhood entitled “Why I Can’t Wait” are now classics. Hoye has also written a book entitled Leadership from the Inside Out. This article has been reprinted with permission and can be found at blackcommunitynews.com/abortion-regret-is-real-but-there-help-hope-and-healing/.